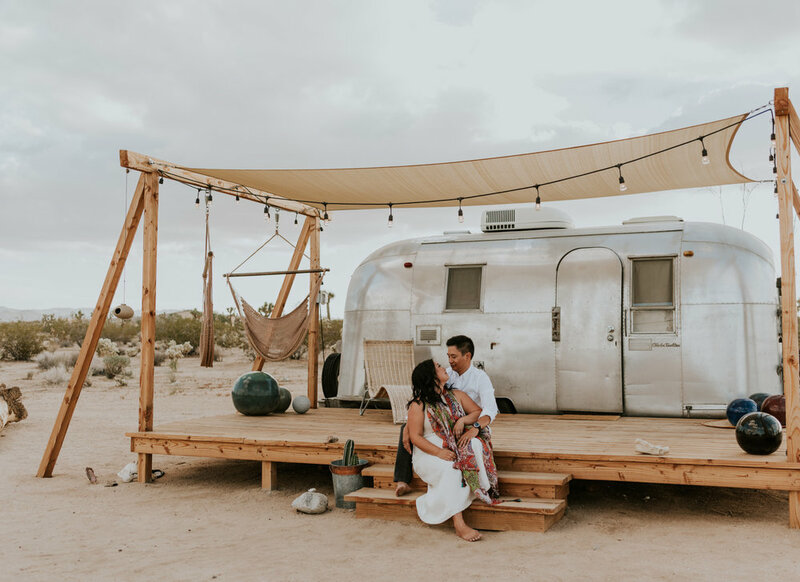 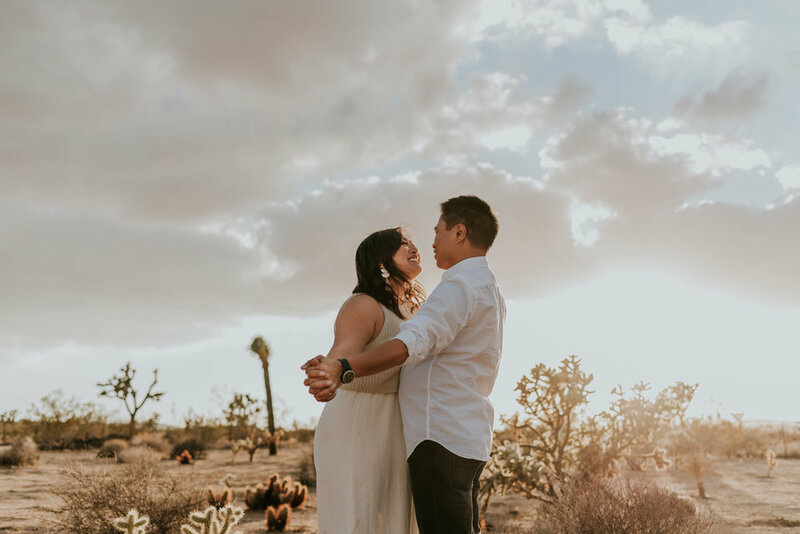 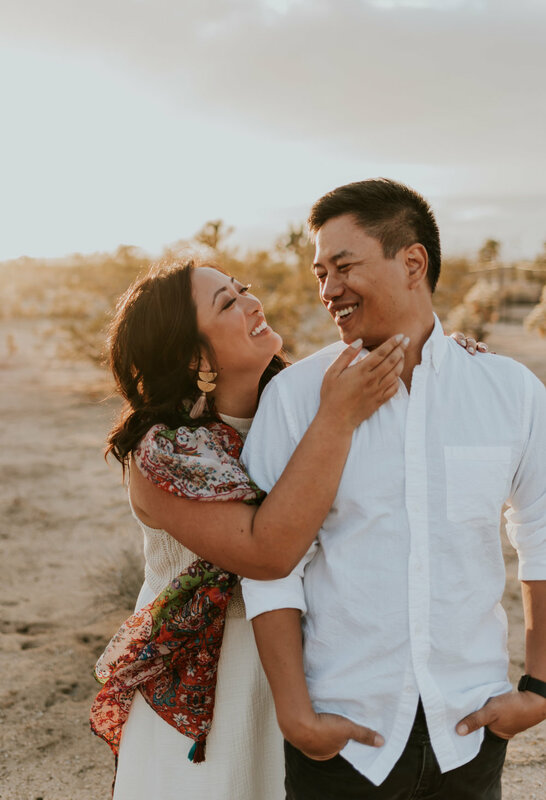 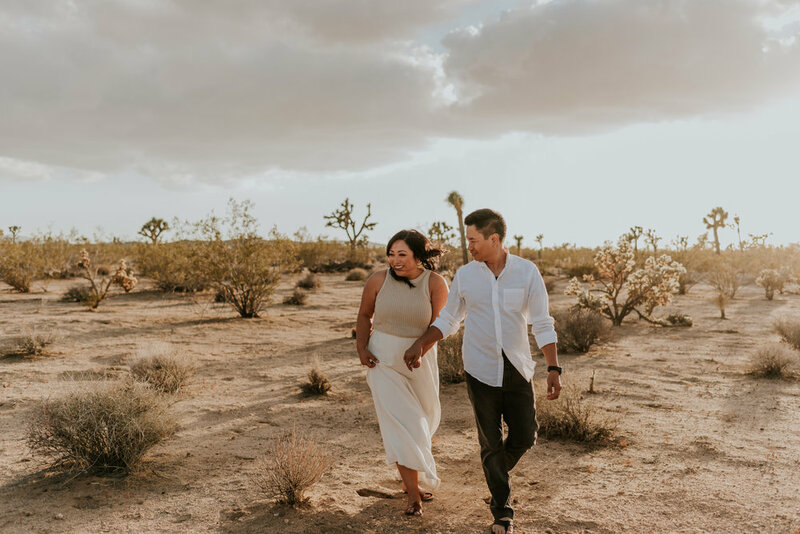 Sarah Jane and Riz celebrated 8 years of marriage with a stay in one of the Joshua Tree Acres CUTE AF vintage airstreams. 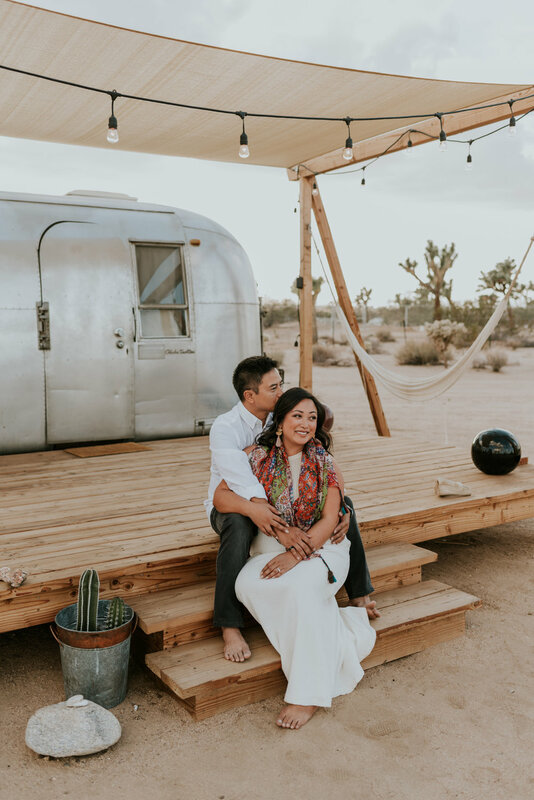 The whole place has this earthy boho vibe that I love and the desert is the perfect setting for it. 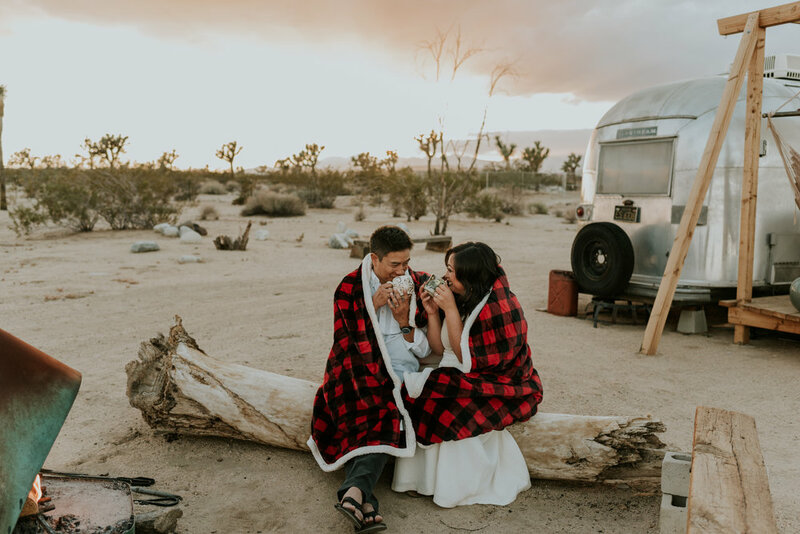 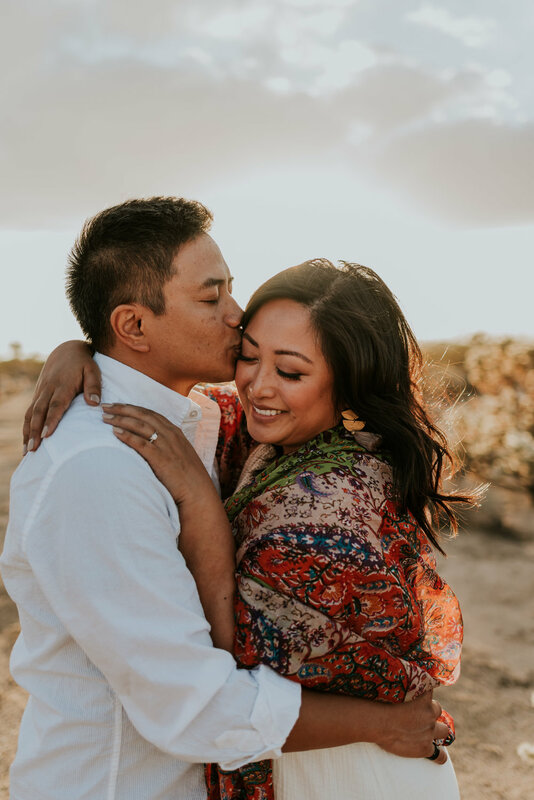 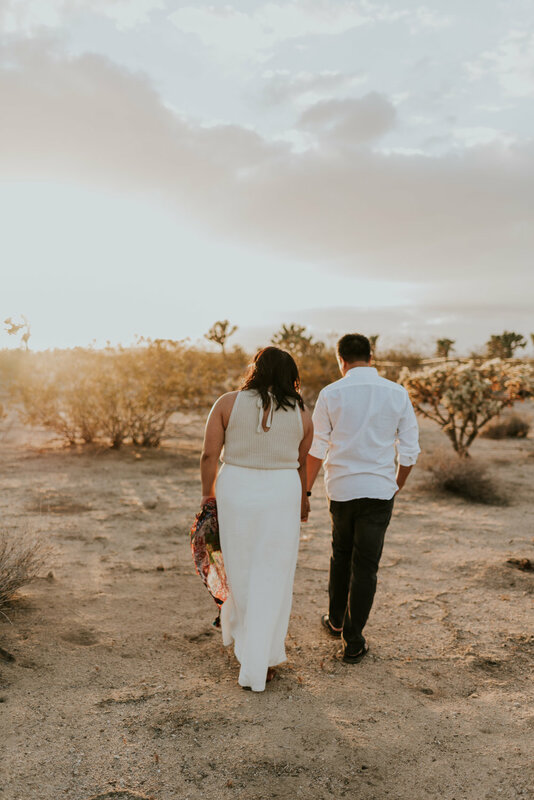 We took photos on the porch, in the community room, amongst the Joshua Trees (and cacti - Sarah actually had to pull a piece of one out of my hand at one point haha), and cuddled up next to a fire. 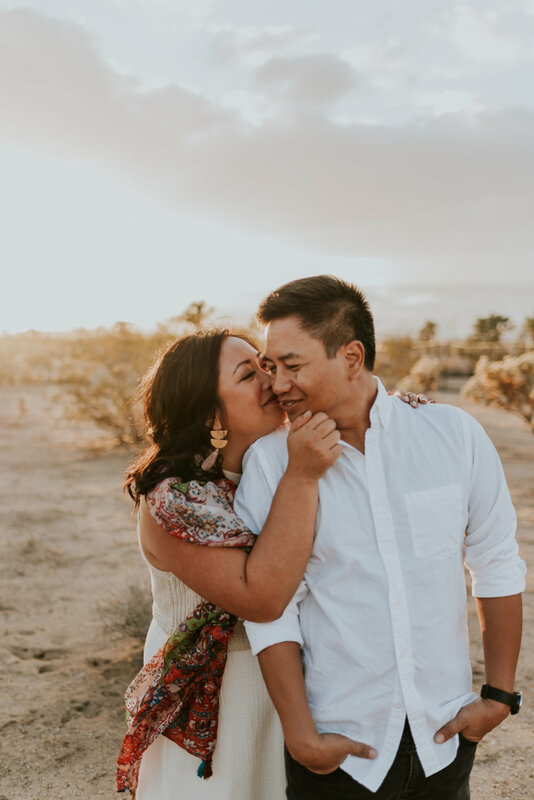 These two were so comfortable and natural together and that made my job so easy! 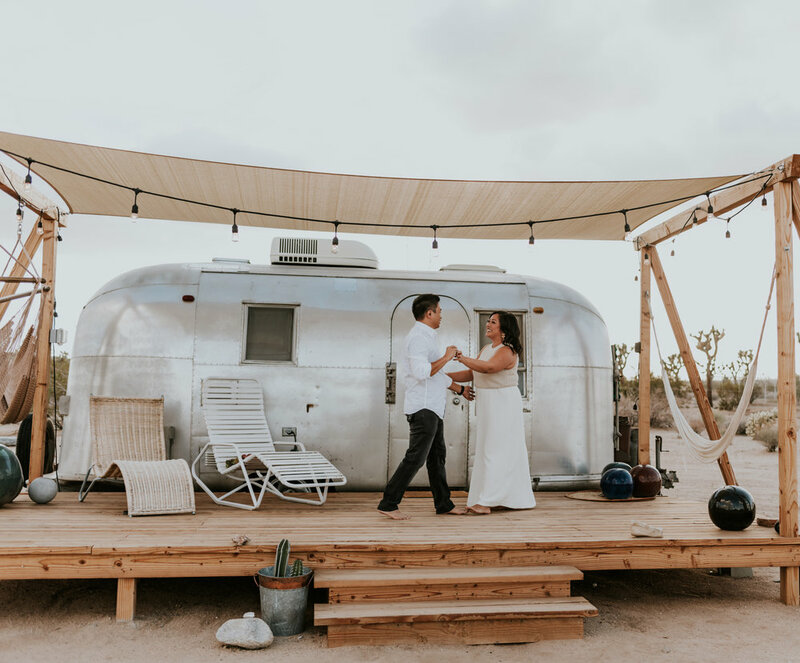 Towards the end of the evening, Sarah asked if they could just kind of dance freely on the porch together and I think that might have been my favorite part of the whole shoot. 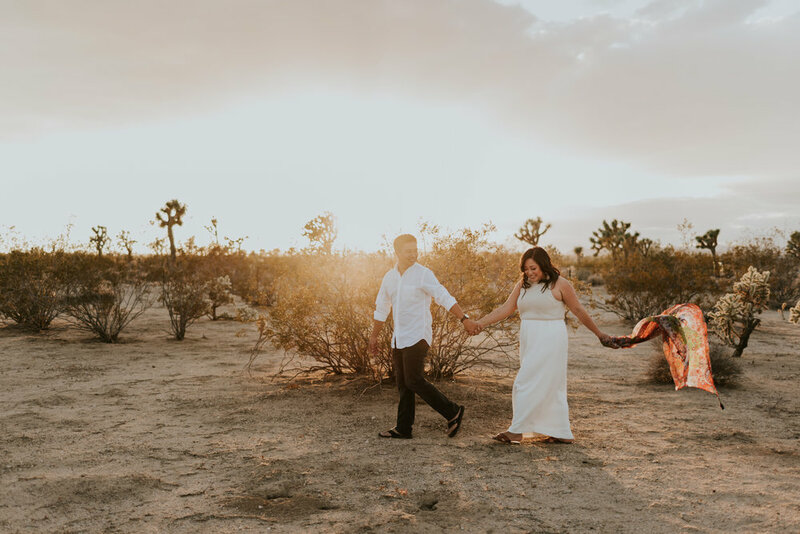 Those photos are allll the way at the bottom so make sure to scroll down and see them!